Late entries will only be accepted at the discretion of the Secretary and will be subject to an additional cost of £10 per individual or £40 per team. Class 1- Prizes to 3rd place, rosettes to 10th place Special Prize: Vic Hunt Memorial Challenge Trophy for best Bicester & Whaddon Pair. 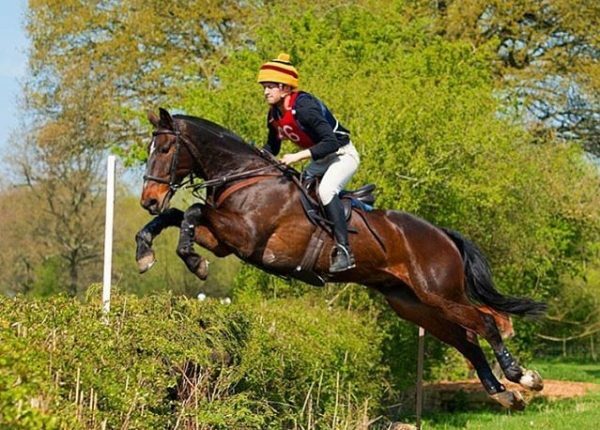 Eligibility is restricted to the Bicester Hunt with Whaddon Chase, Bicester & Warden Hill and Whaddon Chase Pony Clubs and eligibility should be indicated on the entry form. Prize: 1st £50 (if more than 8 competitors) or £30 (less than 8 competitors); Special Prizes for best Sidesaddle Entrant & BHWC Subscriber Starting height is 3’, gate being raised after each round with knock-downs and refusals being eliminated from the competition. Grade A and Advanced BE horses are not eligible for entry. Times will be published on www.teamchasing.co.uk prior to the event. Please note that British Team Chasing (BTC) rules have changed regarding hat & body protector specifications. Please ensure you are wearing compliant equipment, and that your hat has the appropriate tag. BTC tags will be available for purchase on the day, providing your hat meets the specifications. For team classes, it is a requirement that all participants carry Third Party insurance for not less than £5m. It is also strongly recommended that all participants have Personal Accident Insurance. This event is being organised by Bicester & Whaddon Hunt. Equine Bookings is acting as the booking agent for this event, enabling you to book online, for which you will be charged a booking fee per space which will be added to your cart. Newton Morrell is home to the Bicester and Whaddon Chase Team chase hunter trials with Novice, Intermediate & Open courses. Newton Morrell is situated on the A4421 BicesterBuckingham road, 3 miles north of Bicester. The pairs and team chase classes are run under the auspices of the MFHA governing body and are bound by their rules. These may be found at www.teamchasing.co.uk/MFHA. It is a requirement that all participants carry Third Party insurance for not less than £5m. It is also strongly recommended that all participants have Personal Accident Insurance. Neither the organisers nor any representative of the organisers accepts any liability for any accident, loss, damage, injury or illness to horses, ponies, owners, riders, spectators, land, vehicles, contents or accessories or any other person whatsoever, whether caused by their negligence or in any other way. In the event of cancellation more than 1 week before the event is scheduled 50% of entry fees will be refunded. If the event is cancelled less than 1 week before the event 25% of entry fees will be refunded.